That's right. 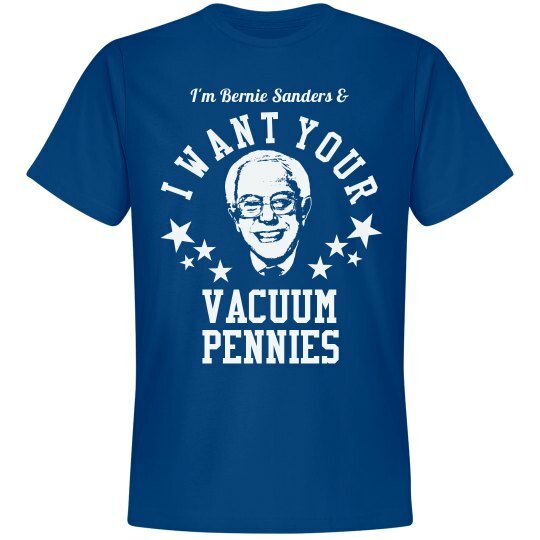 He's Democrat Bernie Sanders and he wants your vacuum pennies to help him become President in 2016! Hilarious skit Saturday with Bernie Sanders wanting us to open our closets, pull out our vacuums, dump them upside down, and send him all the pennies that fall out of them. Bernie Sanders 2016!